Last night Manchester United drew 2-2 with Arsenal but the biggest news was an hour before the game. When the team sheets came out there was a lot of surprise both from myself and on social media, the comments that emerged from the weekend about Jose Mourinho calling Paul Pogba a ‘virus’, as per the Daily Record, dominated after the draw against Southampton last Saturday night. This culminated in Paul Pogba being dropped from the starting line-up, now, of course, this is headline news as well as further proof of their relationship disintegrating. This was a big gamble for Mourinho as if United got beat heavily then many fans/pundits and journalists would have questioned the decision. The decision turned out to be the right one in my opinion as United played Herrera and Matic in the middle and Herrera added energy to the midfield, pressing Arsenal players and forcing them back. Pogba’s question marks don’t derive from his ability far from it, it is his character and his effect on others that is a major problem. His performance on Saturday went from the sublime controlling a ball on the floor then getting up and losing possession of the ball in a ten-second spell. He lost the ball 25 times in that game and this sums up his form at the moment, he was met with some boos when he came on against Arsenal. So, is this the beginning of the end for Paul Pogba at Manchester United? Maybe, it’s no secret that he and Mourinho have completely fallen out with each other. One thing does seem clear and that is one of, if not both Pogba/Mourinho will not be at Old Trafford next season. But my view is that Pogba should go in the summer, in the three years he has been here how many games has he dominated or really left his mark? I realise that I sound like Graeme Souness and believe me for this I will go into my shower and scrub myself until I bleed. He has often been Pogba’s biggest critic and we as fans have defended him to the hilt but sadly some of what he said has been right. Paul Pogba was let go by Sir Alex Ferguson on a free transfer to Juventus because according to many different stories, Ferguson had an issue with Mino Raiola and contract issues that Raiola demanded for his client. Let’s not forget Pogba came through the youth team at United after signing from Le Harve at 16, but he wasn’t the player everyone tipped to be one of the best players in the world that accolade fell to Ravel Morrison. In his first season after his at the time World record transfer back to United we saw flashes of his quality and we were all told/convinced we needed a defensive minded player to do all his defensive work to free him up to play his natural game. Thus, United spent big to bring in Nemanja Matic last season, then we were told he needs to play in a midfield three with a holding player but also with someone who could dictate tempo and play to allow Pogba to push on. So, this year we got Fred and have played a three in midfield with Pogba playing in his preferred position on the left of a 3, I know Fred has been in and out, but he has had all this done to try to help him become the player we all thought he could be. This has not worked out for anyone as the club haven’t kicked on but there are many other reasons for that. Also, it seems like his relationship with Romelu Lukaku has gone frosty now. Is this something to do with Mourinho and Lukaku taking his side? Or maybe that Romelu Lukaku isn’t represented by Mino Raiola anymore or maybe it is all of the above. So even if Mourinho does leave, where does that leave Pogba? Well, this sadly doesn’t come down to his decision, it comes down to his agent Mino Raiola as rumours persist, he has been touting him all over Europe looking to get his next big payday, sorry do best by his client. Raiola was upset that Alexis Sanchez became United’s biggest earner over Paul Pogba, thus his rumoured involvement in the swap deal involving his other client Henrikh Mkhitaryan and he was accused of delaying that deal until he made sure he got his pound of flesh. Now Pogba hasn’t signed a new contract and now has an escape route out of United because of Mourinho and he and his agent may look to pastures new. Barcelona, PSG, Juventus are the prominent clubs that he could leave for but with PSG’s Financial Fair Play situation uncertain at best at the minute and also with Barcelona having no space on their massive wage bill to pay him and his agent what he wants or pay United a fee that would tempt them to sell. So, this only leaves Juventus, and would they take him back? Probably but the bigger question can they afford to buy him back and would they want to risk upsetting their wage bill and Cristiano Ronaldo in the process? So many variables to consider and I personally think if/when Jose Mourinho does depart from Manchester United that whoever comes in will have the same issues with Pogba. Only Zinedine Zidane would keep him in check as the legendary player would command his respect, but I doubt Zidane would take a job that could ruin his reputation. In my opinion, he will wait for either the Bayern Munich job or better for him the Juventus job if Massimiliano Allegri departs in the summer. 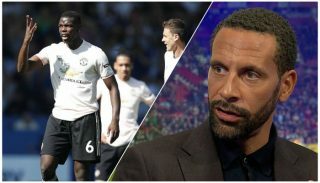 Manchester United might look to sell in the summer as if he indicates he won’t sign a new contract then his value will only diminish, and they might not have a better chance to sell him at a profit one year after he won the World Cup with France. 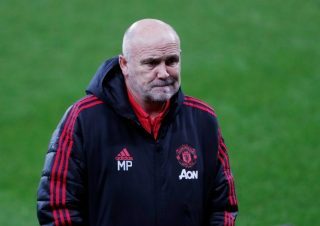 His departure might benefit the team in a way of squad harmony and also allow United to build a midfield that is greater than the sum of its parts rather than reliant on which Paul Pogba turns up. Critics of this view and Pogba lovers will say it is Jose’s fault for his negative tactics and he took away the captain’s armband from him. Well to that I say he took away the armband not what was underneath it, you don’t just lose those qualities because of an armband. Pogba’s time at Juventus was very successful but he was a cog in a well-oiled machine and was nowhere near the dominant figure in that dressing room, Buffon, Bonucci, Chiellini, Vidal, Pirlo all big characters as well as great players. Even with France during the World Cup, Kante/Matuidi/Varane all players who took on the responsibility of leading by example. 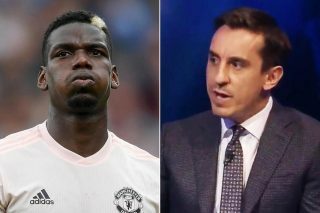 Pogba wants to be a free spirit but that is a massive issue in a team game at the top level, managers want players to express themselves with the ball but also do their fair share of work without it and Pogba doesn’t. I read a thread on Twitter last night in the concourse at the ground before the game which really made sense to me. It said that Pogba’s problem is the flaws in his character are being exposed now by Mourinho regardless of how he has been treated, he doesn’t take responsibility on the pitch and when it goes wrong or he makes a mistake he looks for others to blame. He hasn’t matured and evolved into the player we all thought he could be. I had such high hopes when he arrived back, forget the Pogback hashtag and the video with Stormzy it was for the player he was and could become. Sadly, we only saw glimpses of this, even for his country he hasn’t hit the highs he should. For France he has consistently had criticism from Fans and his manager, Didier Deschamps, so he adapted his game to conform to his style otherwise he wouldn’t have played in the World Cup. Pogba did this as National team glory is different from Club glory as he only had to compromise his instincts and way of playing for one month and the prize was much greater, Deschamps laid down the law to all his players and superstars and he wasn’t afraid to drop them to get the team he wanted to play his way. His best two games for France were the Semi-Final and Final of the World Cup in games where there could be no mistakes and any mistakes would be met with a massive backlash. 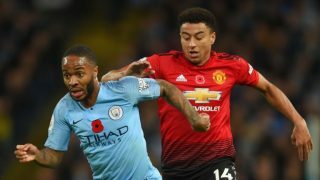 Sadly, at club level, he only really had the second half against Manchester City where he scored twice as United came from behind to win 3-2. Last night might be the turning point in which he either realises that he needs to shape up, or he decides that it is time to go somewhere else where he can play with less scrutiny and more freedom. So, what will Paul Pogba do? Will he perform like he can and tell his haters/critics to Shut Up? Or like the Stormzy song is he now Too big for his boots? Even if Jose Mourinho does leave, the issues with Pogba will remain so it is to be decided if United persist with him and try to make sure their investment doesn’t fail. Or do the board try to sell him at a profit and move on from this admitting that just like Juan Sébastien Veron and Angel di Maria it just didn’t work out for whatever reason regardless of their talent. Of Course, if the Glazers do wish to sell the club then he is an essential asset both on and off the field enabling them to get the best value. 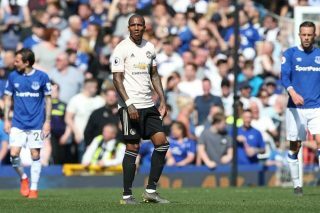 Personally, I prefer to sell in the summer, but he will always have my support whenever he pulls on a United shirt and steps foot on to the pitch to represent us.